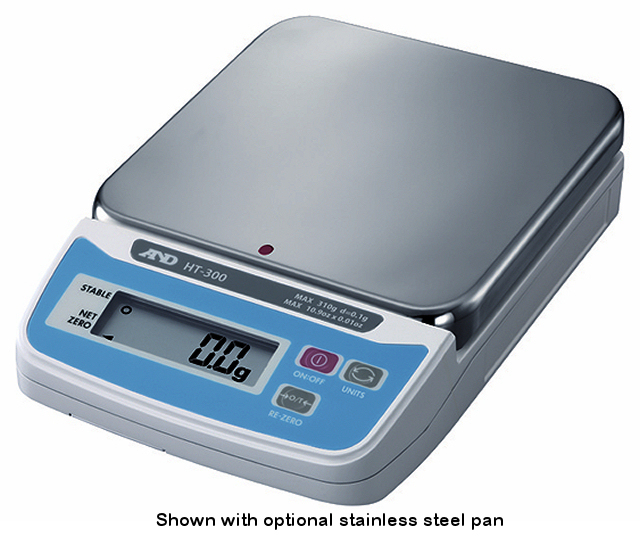 The A&D HT Series compact scales come with a lot of thought put into their design. The color coded bars allow you to mark the scale with one of 3 included color bars and it comes with a name plate for marking the scales. An added feature is an included carrying case that is stackable with other units for maximum storage and portability. These units feature 8 different weighing units (7 for the HT-300) and come with 4 AA batteris included. An optional AC adapter is available as well as a stainless steel weighing pan.